Special Events play a major role in our fundraising efforts. For more information about any of our Special Events, please contact Virginia Pitman, Director of Special Events, at 212-218-0474 or vpitman@lenoxhill.org. For information on other ways to support Lenox Hill Neighborhood House, please visit our Donate page. and supporters throughout our history. Our annual Fall Associates Committee Benefit was held on Tuesday, November 27th. The glamorous evening featured cocktails at Fendi, followed by dinner and dancing at The Metropolitan Club. We were delighted to honor Lindsey Coral Harper and Richard E. Farley for their dedication to and generous support of Lenox Hill Neighborhood House over the years. Nearly 200 bridge players visited the Neighborhood House on October 30th for the Eighth Annual Arthur L. Loeb Cup Bridge Tournament, raising funds that go directly toward Neighborhood House programs. The tournament was chaired by Board Member and Tournament Founder Amie James, Cordelia Menges and Judi Radin, co-chaired by Hee-Jung Moon, Gigi Noyes and Board Member Kristen Swenson and directed by Christopher Rivera. View scores from the 2018 Tournament here. The 2018 Spring Gala, "Make a Splash!" took place on Wednesday, April 11th at Cipriani 42nd Street. We enjoyed an evening of dinner and dancing surrounded by elegant tabletops individually decorated by acclaimed interior designers. We were thrilled to honor Sana H. Sabbagh for her outstanding support. Our annual fall benefit was held on Thursday, November 30th. The glamorous evening began with cocktails at Max Mara, followed by dinner and dancing at The Metropolitan Club. We were delighted to honor Emily and Richard Leonard and Doug Steinbrech and Jeff Sharp this year for their dedication to and generous support of Lenox Hill Neighborhood House. 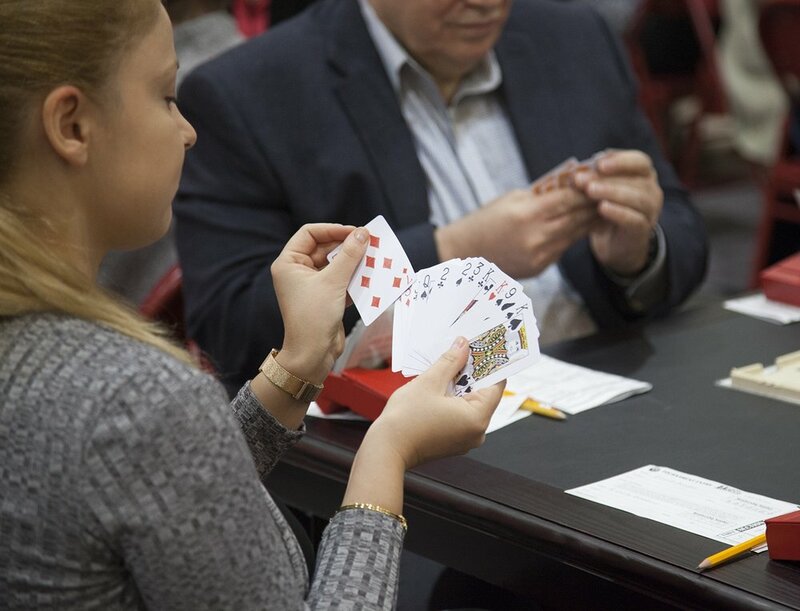 Nearly 200 bridge players visited the Neighborhood House the seventh annual Arthur L. Loeb Cup Bridge Tournament, raising funds that go directly toward Neighborhood House programs. 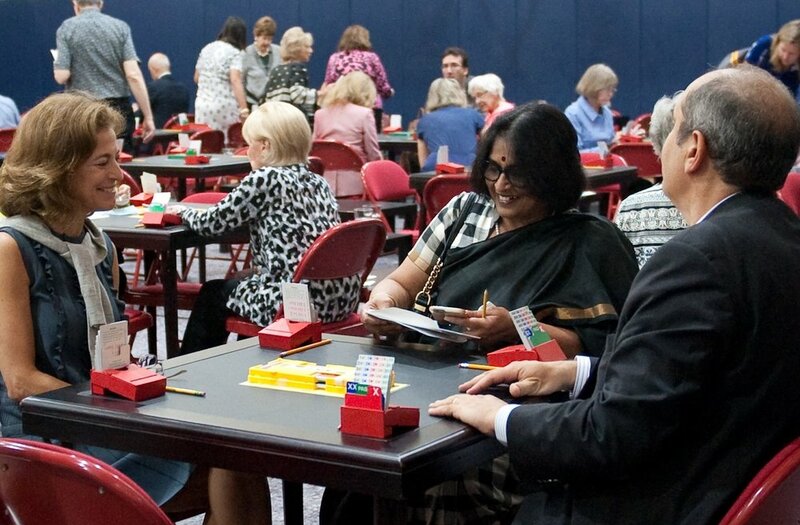 The tournament is chaired by Board Member Amie James and directed by Vice Chair Cordelia Menges. 2017 Spring Gala: "All That Glitters..."
The 2017 Spring Gala, "All That Glitters..." took place on Tuesday, April 18th at Cipriani 42nd Street. We were thrilled to honor longtime Board member John Manice and renowned designer and member of the Spring Gala Design Committee Geoffrey Bradfield. The 2016 Fall Associates Benefit took place on Thursday, November 3, 2016. We were thrilled to honor Kathy and Othon Prounis. As co-chairs of the Associates Committee for many years, Kathy and Othon have contributed immeasurably to the success of our fundraising efforts and the expansion of our donor base. In addition, Kathy has played numerous leadership roles for our Fall and Spring benefits and Othon serves as a member the Neighborhood House Board of Directors. This year's Benefit was a tremendous success, raising over $250,000 for Neighborhood House programs. Thank you to the outstanding supporters who made this event possible, including Chairs Emily and Richard Leonard, Kamie and Richard Lightburn, Lacary Sharpe, Christopher Spitzmiller, Margot and Randy Takian and Julia and Ted Weld. Nearly 200 bridge players visited the Neighborhood House on September 27th for the sixth annual Arthur L. Loeb Cup Bridge Tournament, raising funds that go directly toward Neighborhood House programs. The tournament was chaired by Board Member Amie James and directed by Vice Chair Cordelia Menges. View scores from the 2016 Tournament here. The 2016 Spring Gala took place on April 13, 2016 at Cipriani 42nd Street. 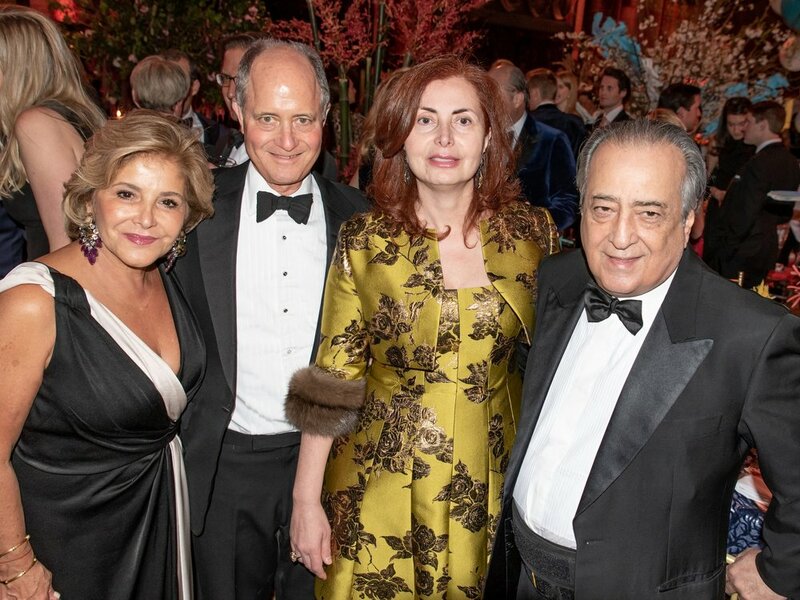 This year's Gala honored Lenox Hill Neighborhood House Board member and renowned philanthropist Audrey Gruss for her tireless work on behalf of New Yorkers in need. Thank you to Fashion Sponsor Michael Kors for their generous support of the Spring Gala. To see more press coverage from our past events, visit the Neighborhood House in the News.